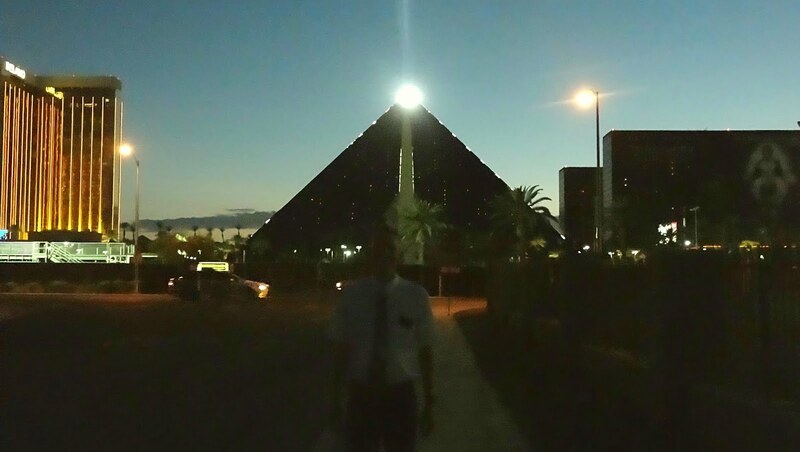 ElderNoahLawson: Week 21 - Surgery, The Luxor, and Mexican Food? 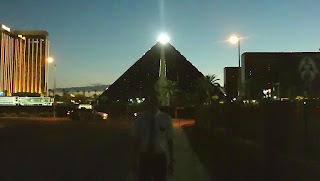 Week 21 - Surgery, The Luxor, and Mexican Food? So primero, lo siento por la semana pasada. No me sentí como escribiendo nada, pero estoy aquí y listo! So Tuesday was pretty dank. We had tons of lessons with people and only one of them actually bailed on us! I have not had a day of straight lessons like that in a while. The area of paraíso here is super difficult compared to Montebello. Not too many people are ready to listen to our message; so the ones that are we very so much love. Wednesday we had our first zone conference with President Youngblood. It was super lit and we had a ton of fun there. Afterwards the stake Relief Society Presidency gave us Mexican food which they made. I am in no way complaining about this, it is only a comparison, but there is a very big difference in Mexican food by white people and Mexican food made Mexicans. Did it make the Spanish Elders feel uncomfortable not having tortillas they could roll to eat their beans with and actually having proper utensils to use? Yes it made us feel very uncomfortable. Later, we went to a Less-Actives house, Noé, to cast out spirits and tell him that we did not think he was possessed. He had called us the night before at 11:30 PM seeing if we could come over the next day. He continued to tell us creepy stories about things that happened in his house as a kid though. Thursday we had exchanges and I was with Elder Tolman for the day. He is from the same town of 300 people that Elder Wardell is from and they both got their mission calls to the same place at the same time speaking the same language. We talked a ton about comic books and superheroes and the difference between being able to easily use Premiere Pro without knowing anything about it and using AfterEffects without knowing anything and completely messing up anything that was possible. Recently, I have been having some issue with my foot, specifically with my toe and what I thought could be an in-grown toenail. Well Friday morning I called the mission nurse to ask if it was what I thought it was. As it turns out I did have an in-grown toenail and everything that I thought I was doing to help stop it and any infection was very wrong. So later that day we went to the doctor and had that surgically removed. The doctor was super cool and everyone in the office including him were Mormon, so they knew the struggle that we faced trying to figure out how to adult in a doctors office. After some numbing shots in my foot and some weird orange wet stuff were applied, the doctor successfully removed the nail. Did the doctor use big weird pliers? Yes. Did the doctor ask if I wanted to keep the nail? Yes. Did I keep the nail? Of course! So now I have that bad boy in a nice text tube thing that I will be able to keep for a very long time! Yesterday we had Por Qué Creo. 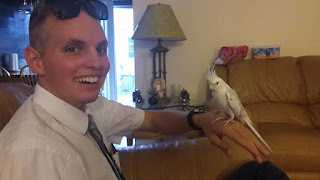 This is where the recent converts tell about their meeting with the missionaries and how they came to find out this stuff is true. It's an awesome opportunity to take our investigators to so that they can feel the Spirit. And I got to see the Murrillo's there! They are progressing amazingly and I was super excited to see them! All in all this week was pretty lit compared to the last few weeks here. The work in Paraíso is super slow and super rough. 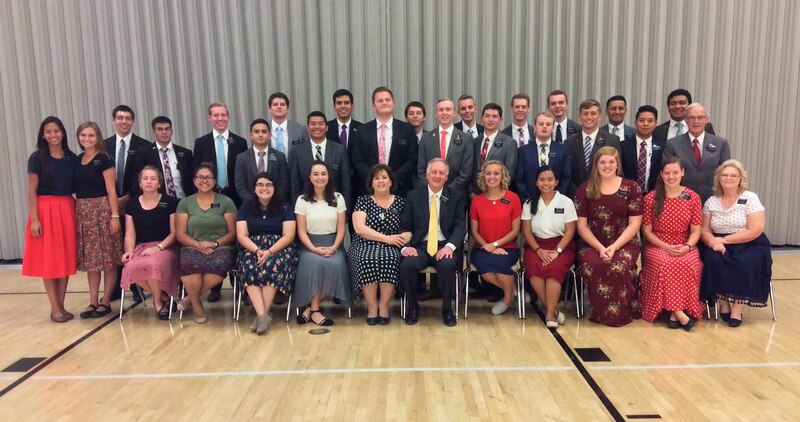 We have been working really hard to find people who are ready, but that's the missionary life so oh well. 4. How I feel whenever I see Missouri Ave.